Sirmione occupies one of Lake Garda’s most beautiful spots and has been a resort for those who can afford it since Roman times. Sitting out on a peninsula the views of the lake are incredible, plus there’s a wonderfully preserved historic town which you can only enter and explore on foot. There is also a 13th Century castle with a drawbridge fortified harbour. 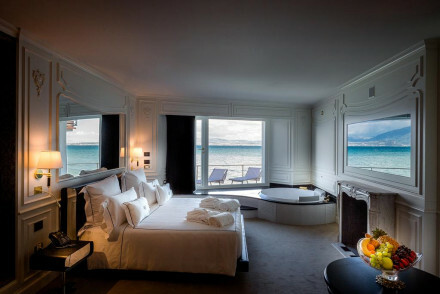 The best places to stay in Sirmione are undoubtedly those with the best views. Sirmione's biggest attraction are the Grottoes of Catullus the most striking example of a Roman private edifice discovered in northern Italy. Don't miss out on the magnificent Scaliger Castle. One of the big reasons to come to Sirmione is to enjoy the lake. Sirmione has many wonderful churches such as the Santa Maria Maggiore and the Sant' Anna della Rocca. 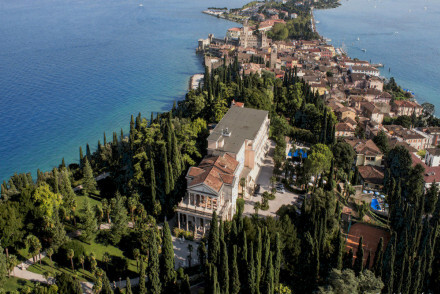 Our selection of the best places to stay in Sirmione range from a grand old palace to delightful boutique B&Bs. The Villa Cortine Palace is a palatial, old fashioned villa hotel with 54 rooms and an absolutely splendid setting. The rooms are grand Art Deco in style with some beautiful frescoes and antiques. There’s a private jetty, a lovely swimming pool and beautiful neoclassical landscaped gardens all around. The Villa Pioppi is an elegant seven room villa set within two hectares of beautiful parkland. There is a swimming pool, sun terrace and private beach. The rooms are large and some have lake views with private balconies. They also offer a babysitting service. 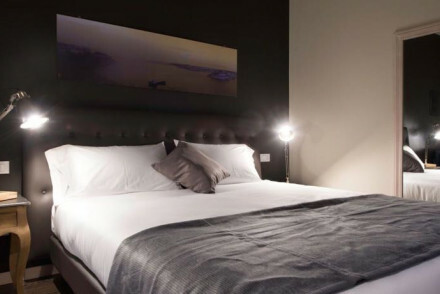 At AQVA Boutique Hotel you'll find an oasis of modernism amidst all the period properties. Here are sleek lines and minimalist interiors, plus a gorgeous lake front location. And it won't break the bank. 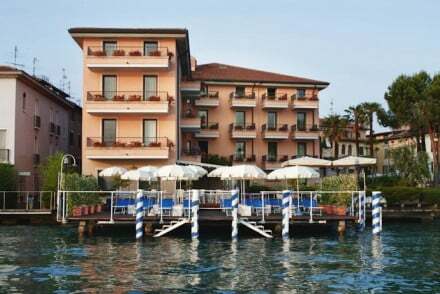 The Hotel Eden is a wonderful lakeside hotel with 30 simple, contemporary rooms and lovely sun terraces. Just a few minutes walk from the beach. Il Mosaico B&B is a snip with rooms starting from just €65 per night. It's not directly overlooking the lake, but the accommodation is smart and modern and who cares with prices this low! 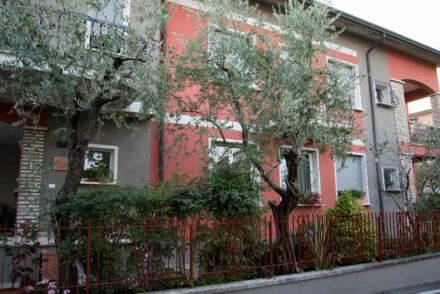 La Dimora del Garda offers stylish and comfortable B&B accommodation in four bedrooms,each with its own little private area for sitting out. Prices start from a very reasonable €90 per night including breakfast. Prefer a villa or apartment? The nearest airport to Sirmione is Verona (23 miles). The best way to get around the area is by car, so why not visit our car hire partners Rentalcars. The best time to visit Sirmione is from May to September when the temperatures sit comfortably in the twenties. 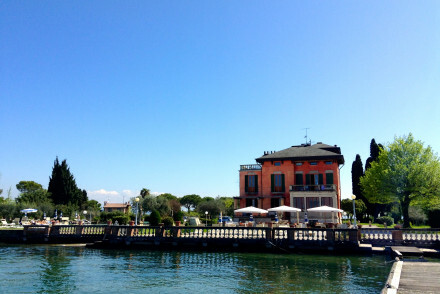 Still not sure of the best place to stay in Sirmione for you? 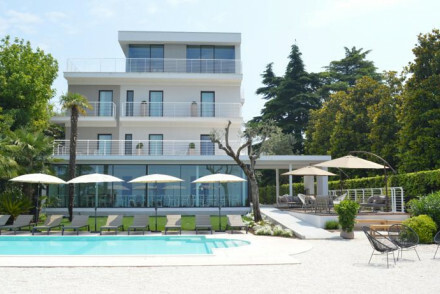 You could browse through our list of all the best places to stay in Sirmione?